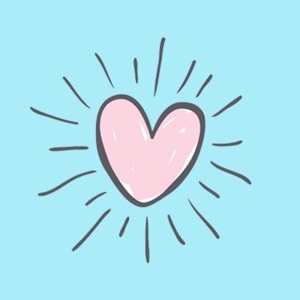 Enjoy your everyday life, make your conversations more exciting and bold with Hand drawn valentine hearts! It will make your Messages chat interesting and fun. 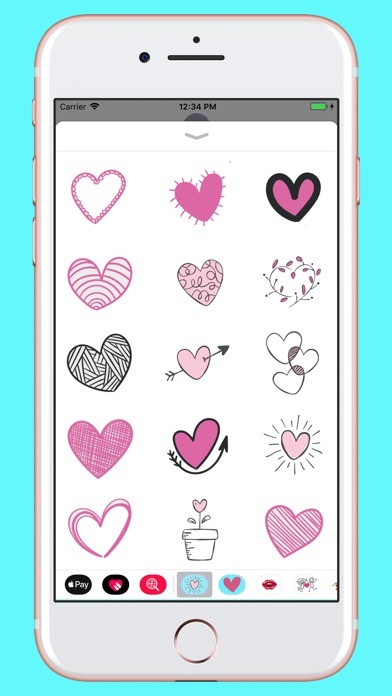 Express yourself in richer ways with this stickers that can be used within your conversations on iMessage. 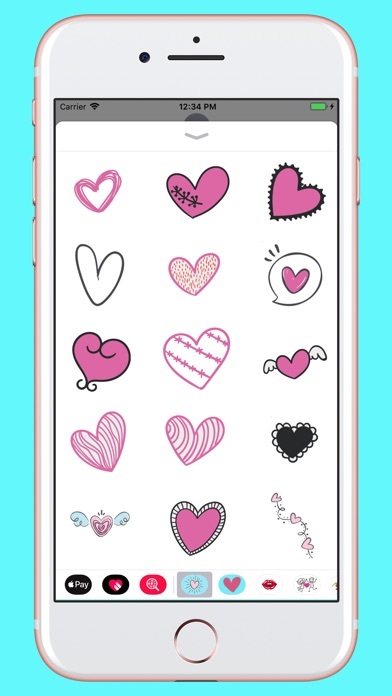 Features: • Awesome emojis & stickers; • Create your custom emojis by mixing stickers and speech bubbles; • Top quality high definition graphics, designed just for you; • Free updates forever; • No hidden charge, no ads, no user analytics! Pay once and enjoy for a lifetime; • Customer support 24/24 - 7/7. 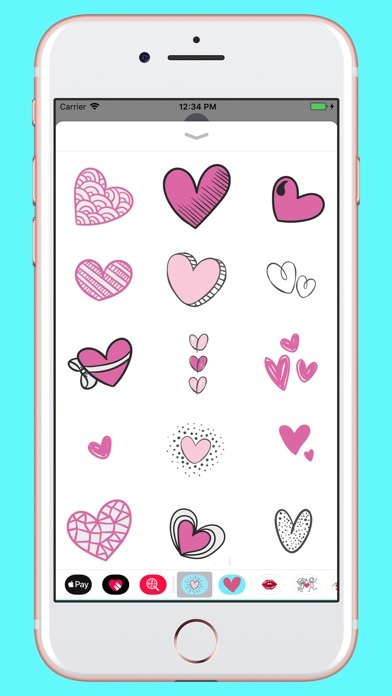 How to use stickers: • TAP a sticker to add it to your message thread • PEEL & PLACE stickers on top of message bubbles or photos, just tap, hold and drop! 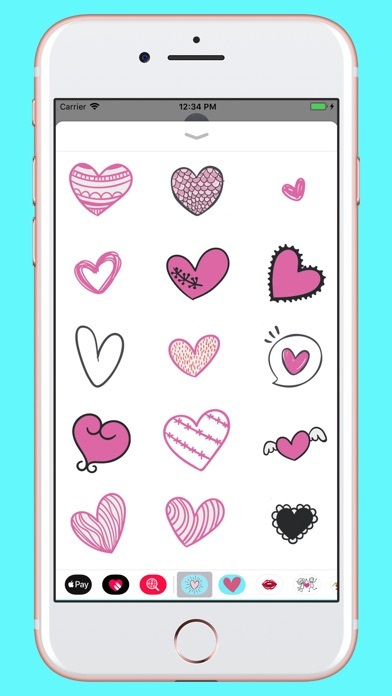 • LAYER stickers over each other in conversations in Messages Have fun! --- P.S. 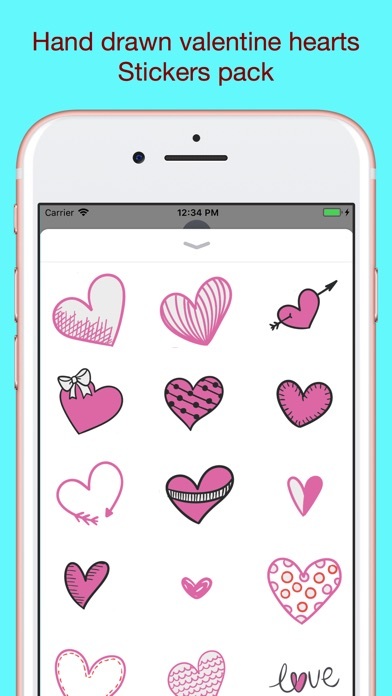 If you like this stickers, please spread the love and rate it (5 stars). THANK YOU!